We have worked with Etex on business cards, printing and designing product sell sheets and marketing materials, as well as product video editing. 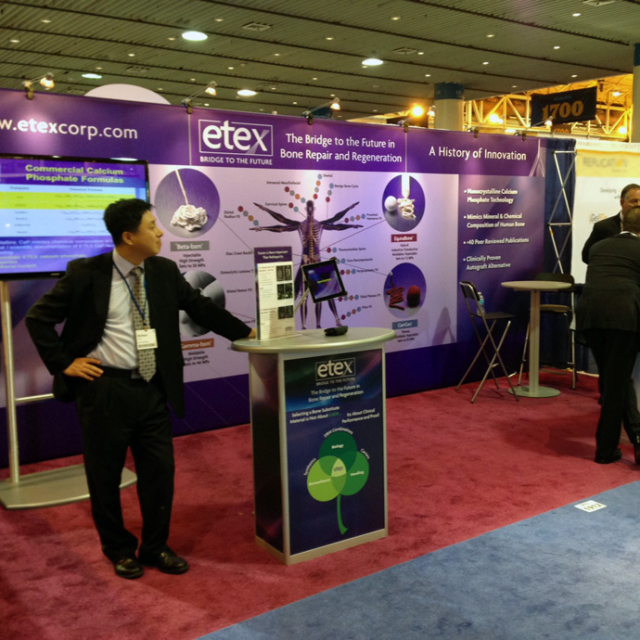 This is a tradeshow we designed and produced for Etex. It includes a large back wall and countertops. 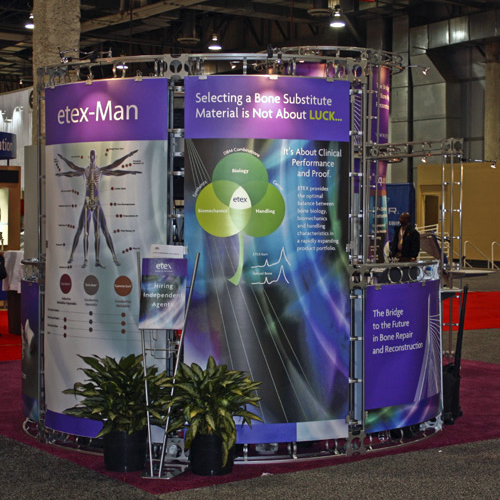 There was also a round tradeshow display we created for them over the years as well.